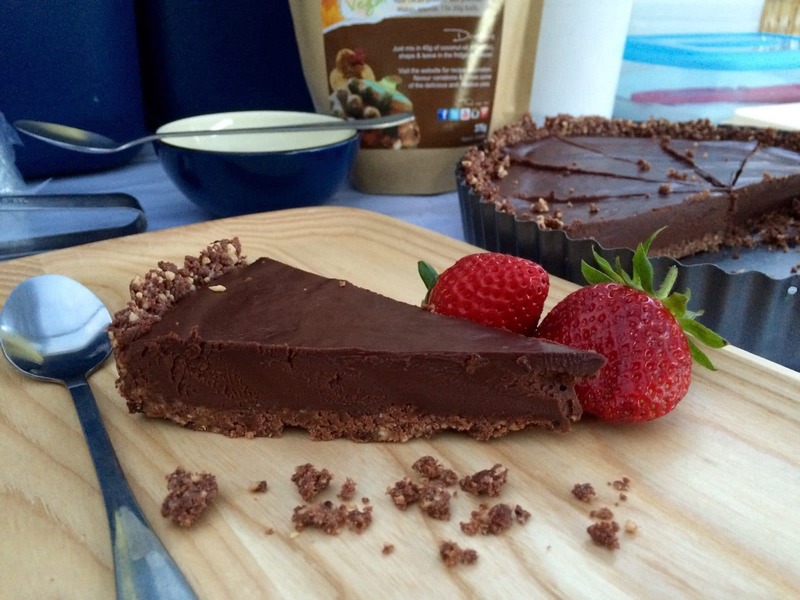 Sometimes you just have to have the real deal… This no-bake chocolate tart comes together in just 15 minutes! The ball-bag crust is filled with a rich, creamy ganache for a decadent guilt-free treat. In addition to being super easy, it’s also healthy – it’s gluten free, dairy free, refined sugar-free and vegan/paleo friendly! To make the filling, melt the dark chocolate with the oil, stirring until smooth. Whisk in coconut cream, maple syrup, vanilla and salt until well combined and is a thick, smooth consistency. Pour into tart base, and chill in the fridge at least one hour.